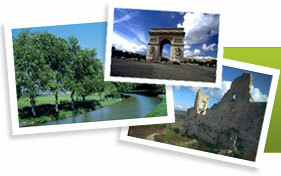 Most attractions in Le Touquet are best visited on foot, including the shops and the beach. Le Touquet’s golf courses are less than 2 miles away from town. Other beaches along the Côte d’Opale, such as Berck-Plage and Fort Mahon are less than 30 minutes drive.